MacTheRipper has been very famous for its functionality in creating copies of your favorite DVD's by eliminating the issues with the data's region code, as well as overcoming CSS encryption problems. Indeed, this very useful application has served its purpose, but if you're using Mac OS X 10.9 Mavericks, you might not be as pleased as many others have been. While it works well as a freeware for ripping protected DVD's, users who've upgraded their system after Snow Leopard, this may not be as helpful as with its original release. For one, people who have used MacTheRipper were not able to download updates. This is especially true for those who've only been using the free version, which does not provide these important updates for users of Mountain Lion, Mavericks, and so on. This makes it more viable for Mac users to find an alternative for MacTheRipper for Mavericks to rip DVD on Mac OS X 10.9. Because of the many disadvantages in using MacTheRipper original version, it's recommended to get MacTheRipper for Mavericks alternatives that will have better functionality for these operating systems. A nice option would be Aimersoft DVD Ripper for Mac. This is an all-in-one converter that allows Mac users to rip DVDs to a wide range of video formats on Mac OS X 10.9 Mavericks and Mac OS X 10.8 Mountain Lion. It works by bypassing copy protection, and features support for formats that include WMV, AVI, MP3, and MP4. This simply means that it can be used to rip DVDs that you could watch on your iPhone, iPad, or Android tablets. This also supports a wider range of audio formats. Because of its versatility, it makes a better alternative if you're looking for MacTheRipper for Mavericks. 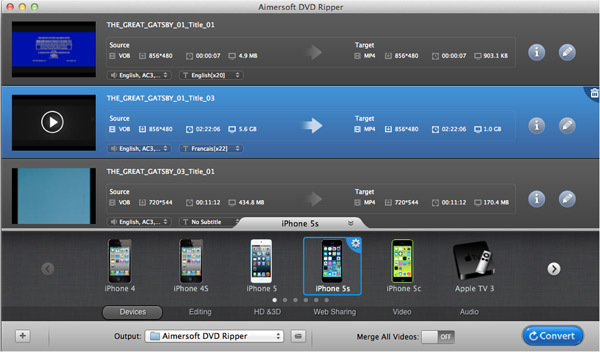 Aimersoft DVD Ripper for Mac also proves to be an excellent video and audio converter. 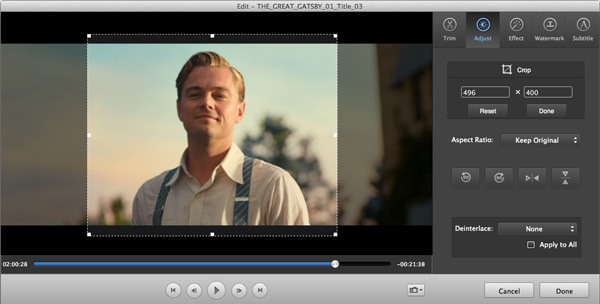 Formats that this application supports include HD MOV, M4V, MKV, FLV, 3GP, VOB, WAV, and OGG. The DVDs you've ripped are also ready for editing with programs such as Final Cut Pro and iMovie, and you can even share them on YouTube. There is also a built-in editor where you'd be able to customize videos you've worked on the moment they're done. Open the application and insert your DVD into the drive of your computer. To import your DVD files, click on Load DVD. The program will then prompt you to select audio tracks and subtitles of your preference. You can then click the Edit button if you want to enhance your videos right before you convert them. This is where you can add subtitles and effects, or crop your videos. Afterwards, click on Profile and choose AVI for the output format of the video. Here, you can customize parameters such as bit rates, resolution, and frame rates through Settings. Clicking on Browse will set the folder where you'd be saving the ripped AVI files. You may then click Start to rip your DVD to AVI. When finished, you could then find the AVI file by clicking Find Target. Specifically, in MacTheRipper 2.6.6, which is very easy to download and install, proves to have no usability for Mac users having versions past Snow Leopard. 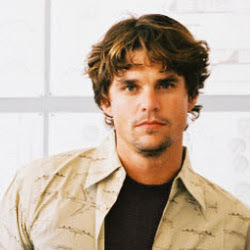 Furthermore, despite of having to upgrade even up to the program's latest version, information obfuscation will be of great hindrance to actually using the tool. Additionally, since most people are using lots of multimedia devices, such as iPad, iPhone, and Android, MactheRipper becomes very limited as far as versatility is concerned. The program only allows you to rip DVDs in the VIDEO_TS folder, which the mentioned devices do not support. Fortunately, with the features available on Aimersoft DVD Ripper for Mac, it proves to be a great alternative for MacTheRipper for Mavericks.